Cold, demanding and run on the sandy tracks of northern Argentina, stage four of the Desafio Ruta 40 offered a perfect chance for Adrien Van Beveren to demonstrate his speed in long and exhausting rally stages. 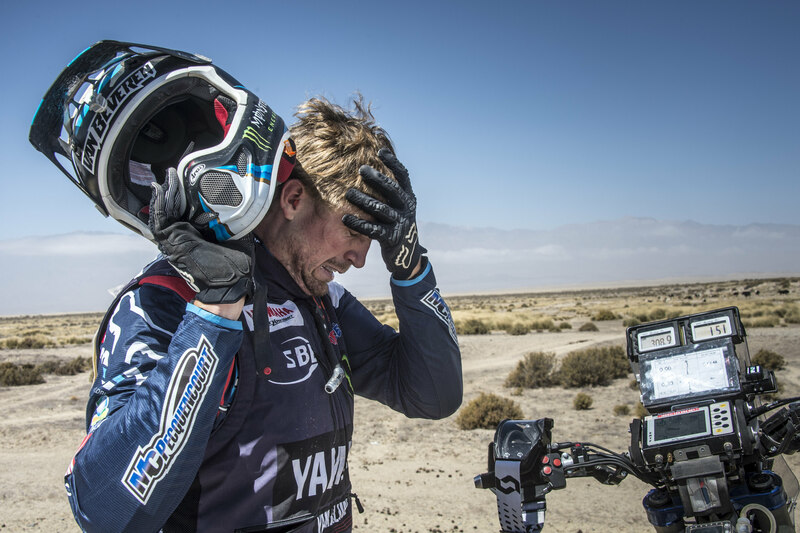 Overcoming all the issues that troubled the Yamalube Yamaha Official Rally Team rider on the opening stages of the event, Adrien went on to secure a solid third place result on the event’s penultimate stage from Belén to Tafí del Valle. Following a challenging stage three yesterday, Adrien entered today’s stage four determined to show more of what he is capable of. Enjoying a solid day aboard his WR450F Rally machine he completed today’s stage three minutes behind the day’s winner. In what’s been another good day for Xavier de Soulrait, the Frenchman managed to reduce his gap to the rider provisionally holding on to the runner-up spot in the overall standings. Earning a fifth-place result for the day, Xavier has one more stage to further improve on his strong third place overall position. Thursday’s fifth stage of the year’s Desafio Ruta 40 will take riders to the big finish of the week-long adventure in the city of Tucumán. Including a rather short special stage of 180km, the total distance to be covered during the day is 327km.